Baltic LAB is the modern and highly extending Laboratory. It is equipped with high quality laboratory devices. 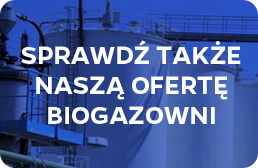 Our offer aims mostly to biogas plants owners but also to: waste-water treatment plants, industrial companies, agricultural enterprises and car washes. Moreover we provide consulting and training. We provide chemical analysis confirming the compatibility of given material with the agreement. Our specialists qualified in chemistry, chemical technology, biotechnology and environmental protection are improving their skills during trainings, trades and conferences. We cooperate with Universities and other R&D Centers. To meet the customers expectations and maintaine high quality services, laboratory guidelines PN-EN ISO / IEC 17025 as a chemical laboratory and is preparing for PCA accreditation. Our offer includes physico-chemical and microbiological analysis but also professional samples collection and transport. We guarantee short realization time and consultances in the field of analysis selection.